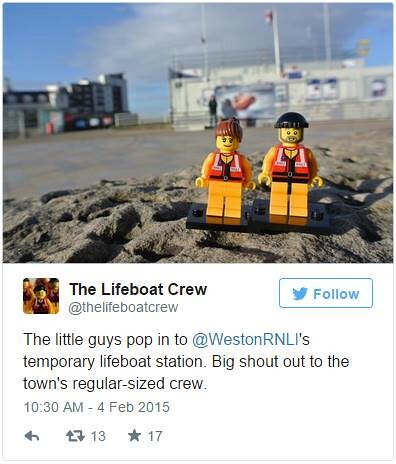 The little guys have been overwhelmed by the welcome that they have received on social media. With 999 (!) 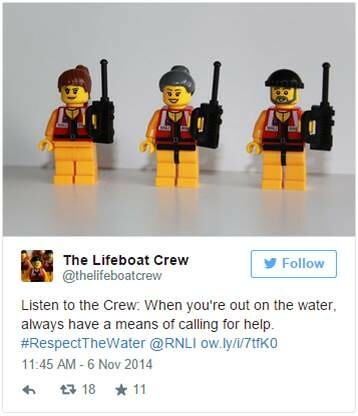 ‘likes’ on Facebook and 1,274 followers on Twitter, they’re extremely excited to be getting their vital coastal safety message across. 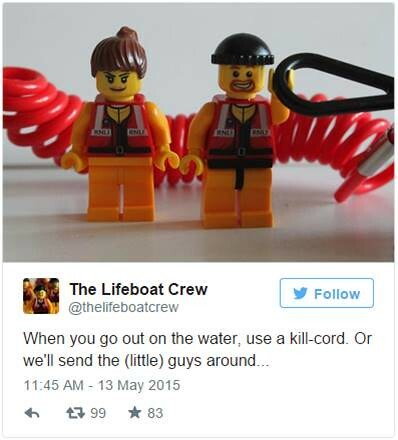 In this week’s blog post, we share some of the Crew’s most popular tweets from the past few months. 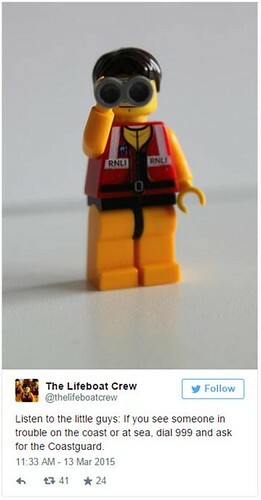 (And it’s not at all because I’ve been so busy with my volunteering at the Portishead lifeboat station that we haven’t had time to go and visit anyone else for a few weeks – honest!). And the Crew’s safety messages always get a positive reception. …but also know that it’s important to take time out to relax. 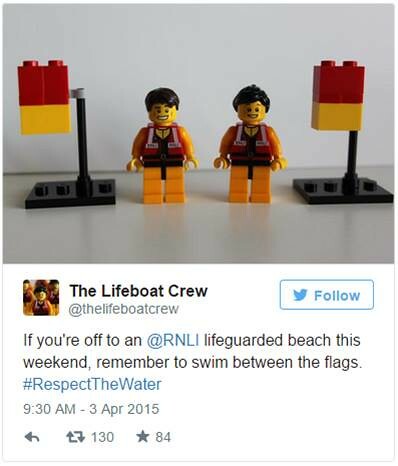 They’re big supporters of all of the RNLI’s lifeboat stations around the coast. 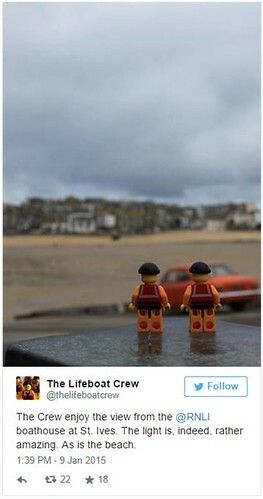 The little guys work alongside the RNLI’s lifeguards, who help to keep our beaches safe. But do, please, follow their instructions. 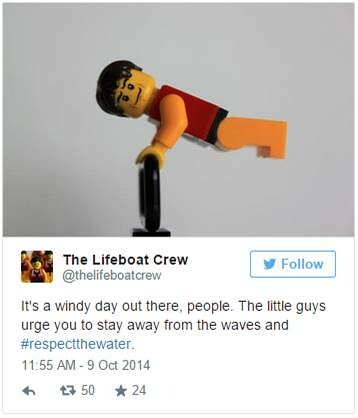 The lifeguards know their beaches well and are only trying to keep you safe. 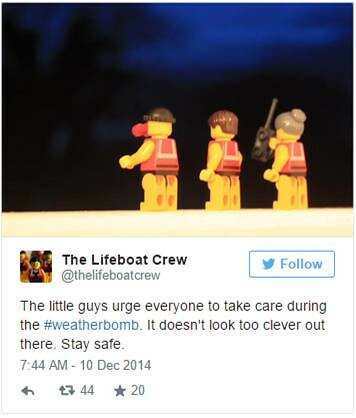 But the Crew take a dim view of anyone who doesn’t take basic safety precautions. …the little guys are your number one fans! OK, that sounds really cheesy. But you know what I mean. Just keep on doing what you’re doing… and thank you. 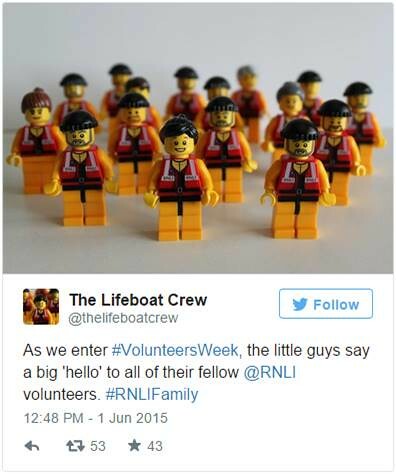 This entry was posted in Other and tagged Lifeboats, RNLI, The Lifeboat Crew by Simon Perks. Bookmark the permalink.